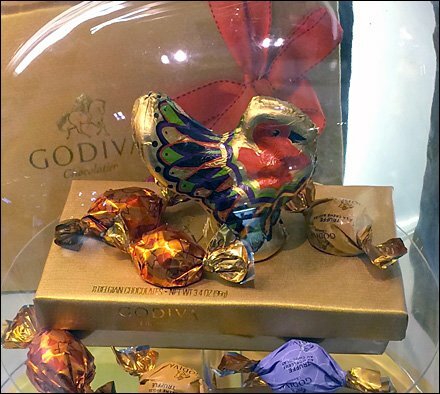 Celebrate the Thanksgiving Holiday with a Godiva® Chocolate Turkey. If a bit small for carving, you can get multiples as a way to share the Seasonal joy. 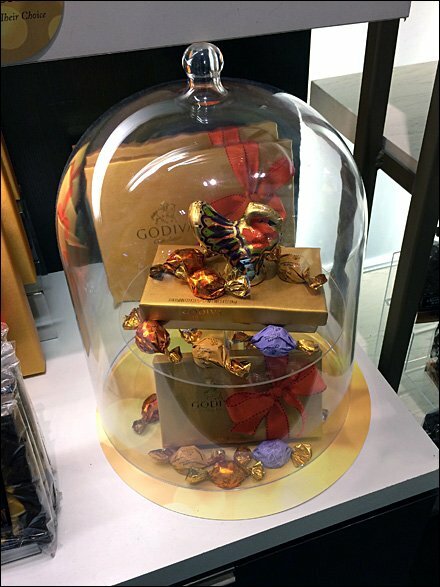 The Godiva Bell Jar both focuses attention and limits sampling. See the Sales Associate if taste test is required. CLICK the thumbnail for a Turkey closeup. Of course don’t stop with the Chocolate Turkey. 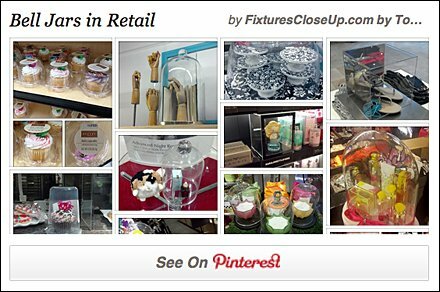 Browse the store and Godiva links below for more.